This is the material used to make Belfast sinks or urinal slabs. The trays are of high quality, but are extremely heavy and more often used for commercial applications where frequent use and heavy wear is a requirement. Ceramic trays can be hard to install, but are very durable and can last a long time. One of the main problems with ceramic trays is that they can easily chip if you drop anything heavy on them. The same material as used for acrylic baths. Lightweight usually around 4.5mm thick and reinforced with wood. These do allow a greater flexibility, but with more flexibility comes a greater risk of breakage. 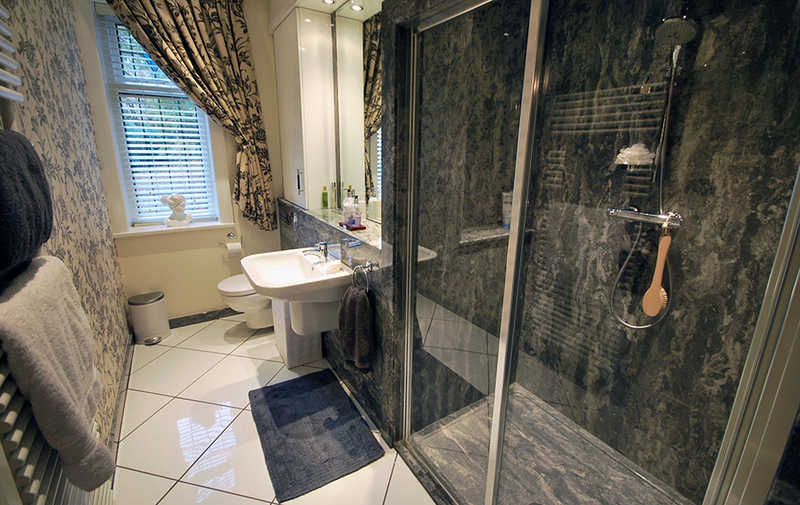 Acrylic shower trays are mostly manufactured within standard sizes and with standard waste positions. You therefore cannot fit them into an odd shaped space what limits your possibilities especially in older buildings. 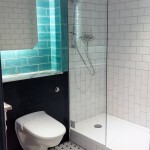 Acrylic shower trays are generally lighter than many of their counterparts, meaning that the installation can be easier, however they are rarely associated with high end designs. Fiberglass is cheaper alternative to acrylic, it has very similar properties, but is more brittle, meaning that its life time is also shorter. Fiberglass is a porous substance protected by a layer of waterproof paint, which over time can begin to wear off causing leaking as well as look dull and unattractive. 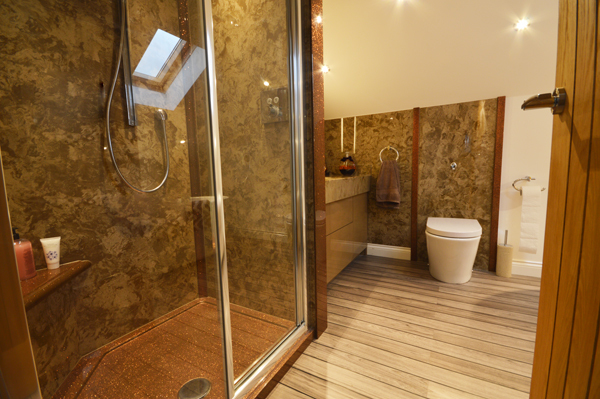 Stone resin shower trays are fast becoming the most popular choice. This is a mixture of natural minerals and a resin compound that give a fantastic compromise between the heavier ceramic/fireclay products, and the lightweight acrylic trays. They offer a solid structure, are long- lasting, warm to the touch and are available in a huge range of finishes. All Versital shower trays are stone resin shower trays. Buy Stone Resin Shower Trays Direct From Versital. Shower trays come in a variety of different sizes and configurations. It’s very important when choosing your stone resin shower tray to take into account the plug hole positions, whether it is a left hand or right hand tray and so on. The most commonly found shapes available on the market today are rectangle, square, quadrant and neo angle. The neo angle shower tray is also known as the Penta or extended Penta by some brands. Versital offer all of these shapes in a range of different size and colour options. Have a look at the full range of Versital shower trays to choose the right shape for your new bathroom installation. 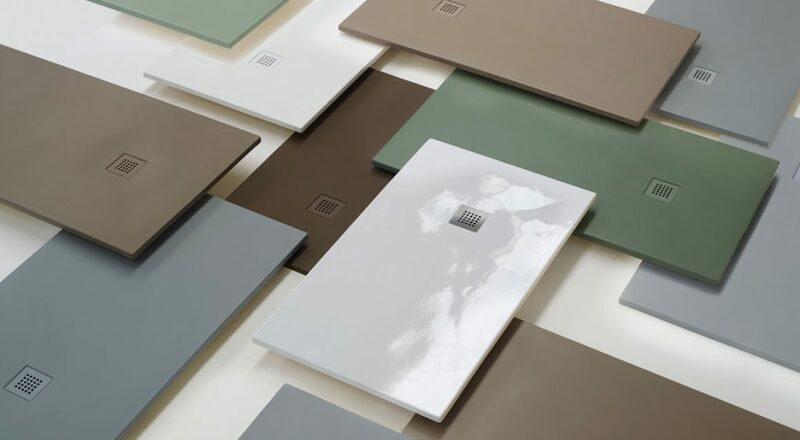 With Versital stone resin shower trays there is a wide range of fabulous looking finishes, all with category 2 anti slip bases. Choose from traditional granites like ‘Graphite’ or ‘Noire’, luxurious marbles such as ‘Royal Pavillion’ and for something really show stopping, push the boat out with a black sparkly ‘Noire Reflect’. Each colour is made using natural minerals and pigments, making it a stunning addition to any bathroom. Unlike real marble or granite Versital shower trays do not leak or watermark and will last looking as good as new for years after installation. If your bathroom needs something more bespoke for an unusual shape or size, or just a perfect fit, you might want to look at a bespoke shower tray. 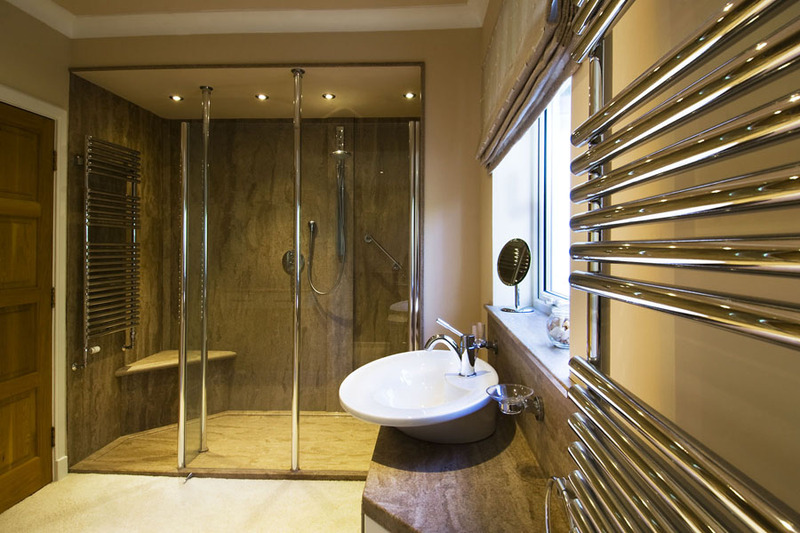 Bespoke shower trays are exactly what they say – fully bespoke and made to measure to suit whatever bathroom issues you might have. Whether you need to go round an odd shape, or just want something larger than usual. 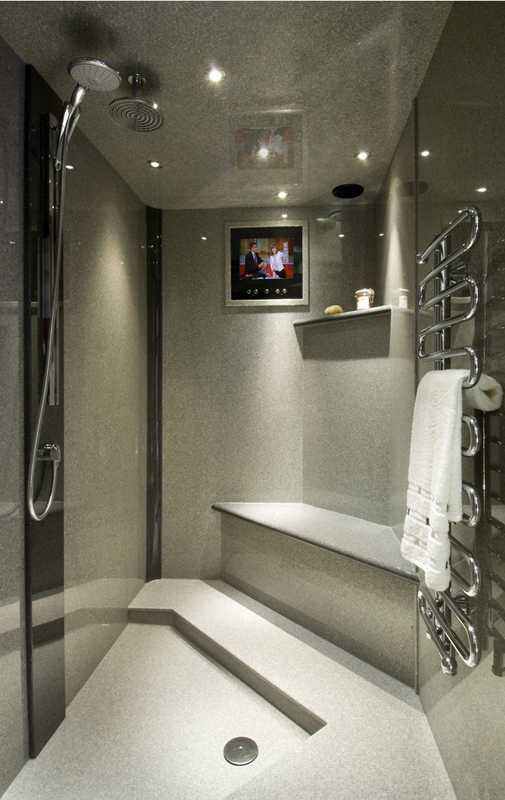 Unlike many similar projects on the market Versital shower trays are manufactured in one piece. That guarantees perfect continuity of pattern as well as fully waterproof properties. Each Versital tray is also covered with a protective gel coat giving it an appealing high gloss finish and making them fully stain proof. 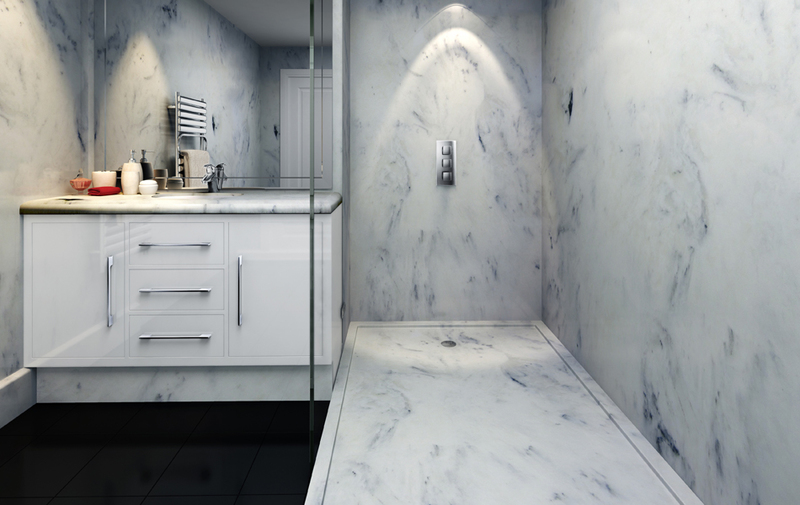 Solid stone resin shower trays from Versital require minimum amount of maintenance to keep looking like new. Unlike the real stone Versital trays are manufactured with an antimicrobial, protective gel coat that prevents mould and bacteria from settling in. The easiest way to maintain them is to wipe them with a damp cloth. Call direct on 01204 380780 for further advice, or find out more about our trays options and purchase your stone resin shower tray direct.